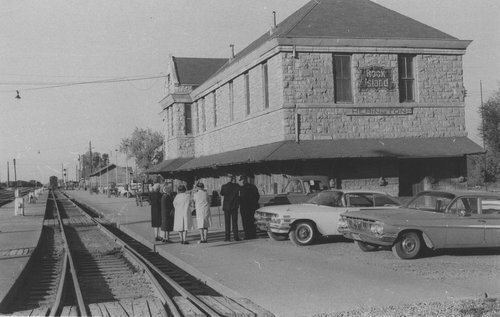 This photograph shows a general view of the Chicago, Rock Island & Pacific Railroad depot in Herington, Kansas. In the foreground a group of people have gathered along the platform of the depot. The two-story structure no longer stands razed in the early morning hours of March 23, 1988.